The only FDA cleared ultrasound technology using true 3D acquisition. The National Cancer Institute, part of The National Institutes of Health (NIH) has awarded grants of over $15 million to fund the continued development of this technology and our clinical trials. QT Ultrasound has received FDA 510(k) clearance for diagnostic imaging of breast health, as an adjunct to mammography. At this time, it is not intended to be used as a replacement for screening mammography. Dense breasts are common. In fact, over half of all women have dense breasts. With images that show clear information about breast tissue, our goal is to identify what is benign, and what’s problematic. 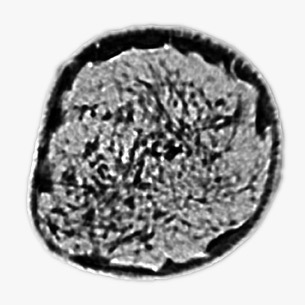 The QTscan™ can see microanatomy down to the level of just 200 cells.